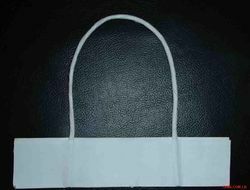 We are a leading Manufacturer of burger paper bags, black paper bags, paper rope handle - white and paper bags pe coated from Delhi, India. Now get your branding done on your burger paper bags. These paper bags are best for burger, pasteries and fries. 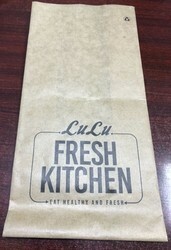 Our Black Paper Bags are made on SBS Board with Matt Lamination. 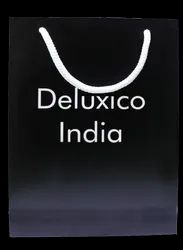 These bags looks elegant and stylish to suits your brand. White Paper Rope Handle for Paper Bags. Our premium Quality Paper Rope Handles are made of high quality paper and perfect fit for your bags. These bags are essential for your food safety. Its PE coating give your paper bags extra strenth and keep paper moisture proof.